TEDx Brighton was inspiring. I try to avoid this word as it’s overused and dramatic but it’s the only word that applies here. Jake, who describes himself somewhat harshly as a “suicidal waster” who found purpose, spoke about his ongoing battle with depression and the great healers of Nature and movement. Just a year and a half ago, he seriously considered ending it all, phoning his mum one last time to hear her voice before he went. Everyone in the Brighton Dome seemed to be holding their collective breath as Jake explained the thoughts and feelings that were going through his mind. His simple but eloquent description of these dark thought processes and their potential effects was both upsetting and humbling. But with the help of his Mum, his GP and finding his purpose, Jake pulled it back from the brink. He was very clear to say that depression isn’t ever done, it’s not something you can complete. It’s a constant battle. But in articulating this battle and communicating it with others, it saps its power. A modest man, Jake found his purpose in the modest act of walking. His goal is simple – to walk his way to recovery. 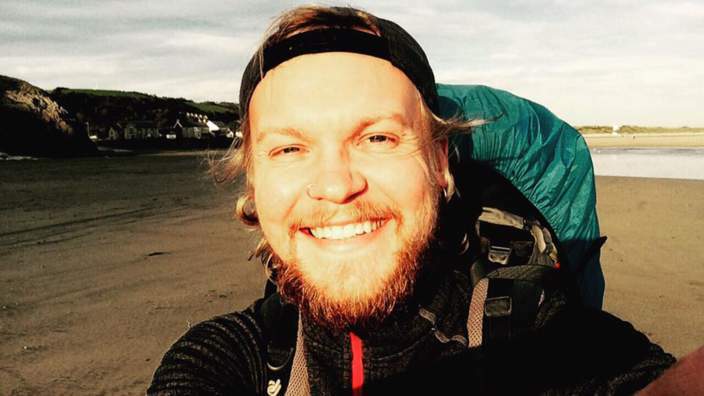 “My plan is to walk around Great Britain, covering every National Park in order to show people that there is beauty nearby.” Documenting his experiences with depression as he goes – I don’t know if I can think of a more noble vocation. It’s unbelievable to think that a year and a half ago he was in the darkest stage of his life and now he’s fighting it head on, completed the London Marathon with the show ‘Mind Over Marathon’ and is getting more and more people behind his cause. Myself included. These were the words Jake said to himself on completing the marathon and the words he used to end his talk. A powerful, simple message on how engaging with the outdoors and physical health can help your mental health and then some. I’m looking forward to following his adventure. (Try saying that after a few beers). Tim’s missions is to “bring on the Ping Pong Revolution”. On the face of it, this might sound like a slightly obscure life mission. Until you see exactly what this means. Tim’s talk was decidedly different to the rest because he didn’t just wax lyrical about the great work that was being done, he showed it. Sharing the stage with him for the majority of his talk were some of the people who play at Brighton Table Tennis Club. You’d be hard-pressed to find a more diverse bunch. But the one thing they have in common? Ping pong. Watching them laugh and play together said it all. Across age, race, gender, background, class. It’s just not important in ping pong. It’s a social revolution that’s beautifully simple and incredible to see in action. (Plus props have to go to Harry Fairchild for being a total legend). I was skeptical about this talk. 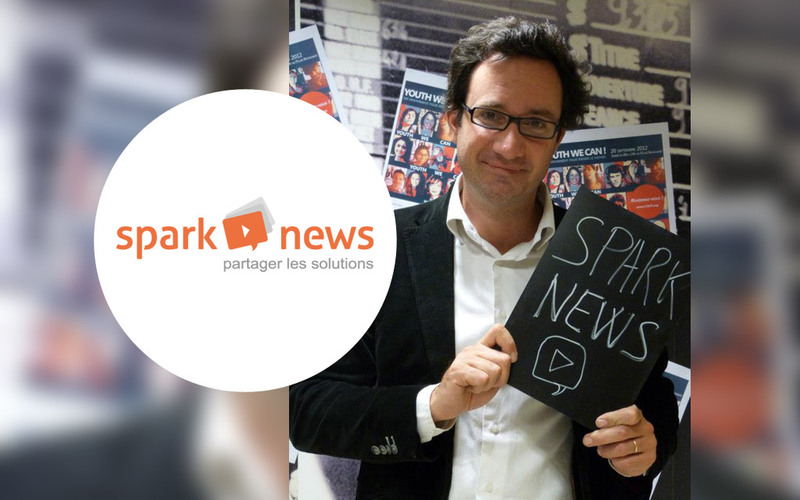 From the start the idea that we needed more positive news seemed almost crass from the founder of Spark News. When terrible things are happening the world over every day is that really what we need? But as I listened on, Christian made a clear distinction. His message was not to share more and more “fluff” that’s unimportant. But by sharing success stories around the world centred on solutions, we can inspire more answers to difficult problems. To illustrate his point, he showed a video of blind women, who are being brought in to perform breast exams on people who might have a tumour. The idea to use disabled people in need of work to use their heightened sense of touch to help find medical problems before it’s too late is absolute genius. This news story isn’t fluff, but it’s positive, and it shows an innovative solution to multiple societal challenges. By showing more of these kinds of stories, we’ll inspire more ideas like this. Christian, you converted me. The common thing that all these three talks shared was that they were simple. The messages and ideas they put forward might not be easy to implement by any means, but they are simple and elegant in their logic. Utopia doesn’t need to be a distant dream.